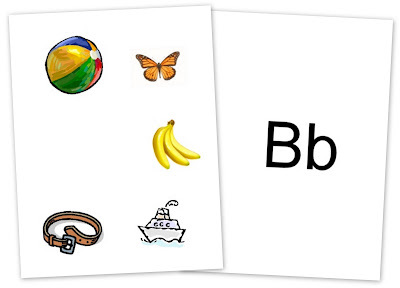 Zachary has moved onto the letter "B" this week and it cracks me up how HUGE he has to make his "bellys" on his B's. His P's and R's are normal, but he really enjoys making them larger than life. He also started preschool 2 days a week (so Mommy has a little more time with Kaleb on those mornings). The bumblebee fits onto a standard size piece of paper. 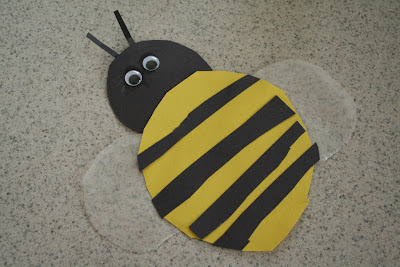 He cut out circles for the body and head of the bee and cut black stripes to glue on it also. I cut out wings for the bee using wax paper and then we added googly eyes and antennas to complete it. We took two toilet paper rolls and stapled them together to look like binoculars, punched holes in the side to tie a long piece of string in for a “strap” of sorts. Balance: Have your child try walking with something balanced on their heads.Then try standing on just one leg. Do it while closing your eyes and see what happens! Balance Beam: Tape a long strip of wide tape down the middle of a hallway floor and walk along the tape line. Can you do it without stepping off the tape? String Beads: Practice patterning or make a necklace together. Bounce Balloons: Blow up some balloons and have fun bouncing them back and forth to each other. This week we used our large easel to practice writing our letters, especially since the bellies on those "B"s can get rather large at times!